According to the 2016 UBA Health Plan Survey, copay models are still the most popular, with a three-tier copay structure the most prevalent. Median retail copayments for these three-tier plans are $10 for generic drugs, $35 for preferred brand drugs (drugs on the carrier’s prescription drug list) and $60 for non-preferred brand drugs (drugs not on the carrier’s prescriptions drug list). 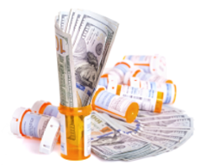 While 54.5 percent of all prescription plans are copay only, approximately 40 percent of all prescription drug plans have co-insurance along with (or in lieu of) copays–a plan design that is particularly common among four-tier plans.